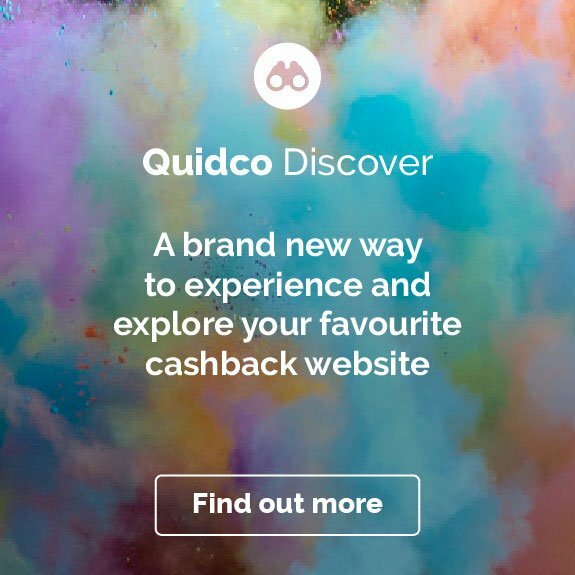 Earn cashback on one-of-a-kind items by shopping through the offer links on Quidco. Etsy is an online marketplace that connects artists, craftspeople and vintage traders with buyers all over the world. That means unique products at fantastic prices – and now you can get even better value with our Etsy cashback deals. 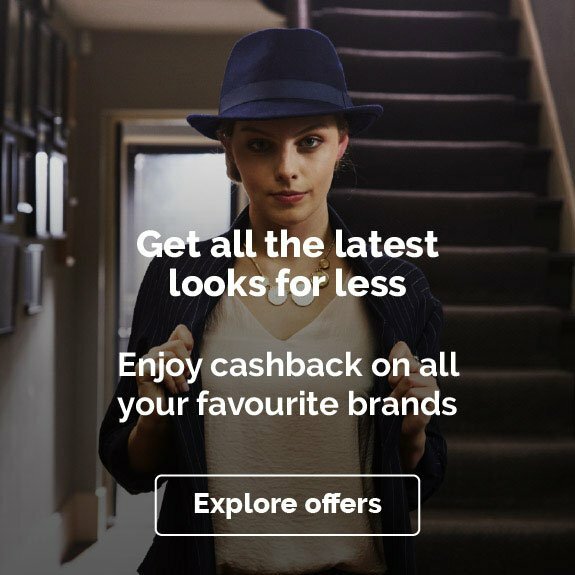 Just click one of our cashback links and start shopping. There’s nowhere else like Etsy when it comes to one-of-a-kind shopping from independent sellers, and now you have one more reason to hunt for vintage gems and handmade gifts online. Happy shopping! Etsy was founded by a group of entrepreneurs in Brooklyn, New York back in 2005. Since then it has become the go-to online destination for unique and homemade products, with 29 million buyers around the world using the platform to shop for clothes, accessories, homeware and more. Think of it as a global, digital take on the local craft fair, offering independent makers and traders an online shop front that lets them sell direct to shoppers around the world. If it sounds a bit like eBay, it is – the difference is that Etsy specialises in one-off, limited edition and homemade items from indie sellers and businesses, including hundreds right here in the UK. Etsy is perfect if you want to shop locally and support local artists and makers. Just filter your searches by location to find unique products close to home. Who knows what you'll come across? It could be a personalised tea-towel, a quirky wedding or baby shower gift, or a vintage map of your hometown. That's the magic of Etsy – you'll never know exactly what's available, but you can bet it'll be something cool. And you can browse all of it easily via the Etsy app or website. If you're a fashion lover, you're probably already salivating. You're right to. Etsy is brilliant for one-of-a-kind pieces, and buying them is even more satisfying when you do from the people who make or collect them. You’ll find all sorts of clothing and accessories on sale, from pretty dresses and funky shoes to handcrafted jewellery, so you’re bound to find something that fits the bill. Prefer to make your own gear? No problem – check out Etsy Studio, where you'll find great offers from independent merchants selling fabric, patterns, beads and more. Want to recreate your favourite interior look without a hefty price tag? Head to Etsy for unique and creative homeware at affordable prices – and better still, with the bonus of some Quidco cashback. Browse unique pieces of furniture from independent carpenters and designers, plus vintage gems from specialist collectors. You’ll also find all the bits you need to add those perfect finishing touches to your interiors, like wallpaper, wall art, lampshades and rugs. Etsy isn't just about buying cool items from other people. It’s also a marketplace for the tools and materials you need to get creative yourself. Whether you love knitting, want to get into sewing, or fancy trying your hand at any number of other crafts, Etsy has all you need to get started. Head to the Craft Tools & Supplies section to shop for fabrics, cross-stitch equipment, knitting patterns, and much more. 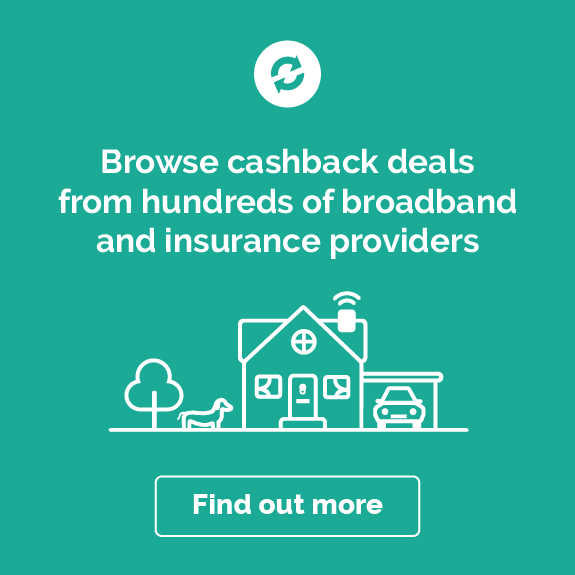 Pick your craft, order your supplies, and get Quidco cashback – it’s as simple as that. We've talked about independent designers and craft supplies, but let's not forget Etsy's other strength: it's one of the best online marketplaces for vintage items, from mid-century furniture to 1920s dresses. The Etsy site and app have dedicated vintage sections, so if you love items with a bit of history you can get straight to the stuff you love. And thanks to Etsy's detailed product pages and buyer reviews, you can check the condition of vintage items and the reputation of the seller before you buy. The Etsy blog is your daily dose of shopping and making inspiration. You'll find party planning ideas, highlights from popular Etsy shops and – best of all – insight into the work of creatives all over the world. Previous posts have featured a jewellery-maker on Mexico’s Caribbean coast, a sandal-maker in sun-drenched Corfu, an abstract artist in Ibiza, and a vintage specialist in Honolulu, Hawaii. If their stories don't inspire you, nothing will. If you're worried about buying from small independent sellers online, Etsy's security and protection measures will give you peace of mind. You can check out sellers' delivery and transaction policies before you buy, and browse reviews from other shoppers who've done business with them. And if there's anything you want to ask about an item, it's simple to message the seller directly. When it comes to buying, Etsy has a secure checkout with industry-standard encryption, so you can pay with confidence and be sure your data is safe. There's also a global support team who can help you out if anything goes wrong, and a community forum that is packed with answers and advice from Etsy sellers and shoppers. With a huge range of products from sellers around the world, there are countless ways to earn your Etsy cashback. We've come up with a few ideas to get you started. There's no need to break the bank when shopping for interiors – you'll be amazed at the difference a few well-chosen ornaments and accessories can make. And that's exactly where Etsy comes in. Shop for handmade cushions, unusual art prints, vintage mirrors, quirky lighting, bespoke curtains and more. Whatever you're looking for, you’ll find something individual and special at Etsy. And when you add in great prices and our cashback offers, it won't be long before your rooms are looking individual and special too. Want your special day to really stand out? Of course you do – and there’s nowhere better than Etsy to shop for one-of-a-kind wedding supplies. Head to the wedding section for unique invitations, decorations, cakes, centrepieces, balloons, and more, plus homemade signage and quirky wedding favours, all of which you can buy for great value direct from the seller. Do you get a kick out of buying handmade jewellery on holiday and coming home with something nobody else can wear? With Etsy, you can have that feeling all year round. Etsy gives you unprecedented access to talented metalworkers, gemologists and designers from all over the world, so you can order weird, wonderful and plain beautiful pieces straight from your device, wherever you are. Dive into the jewellery and accessories section on the Etsy website, where you can browse by jewellery type, style, price, seller location, and more. You're going to love Etsy's art pages. Whether you're a budding curator or just looking to pep up a dull-looking room, you can browse prints and originals from artists around the world – or filter by UK if you want to find something more local. Whatever you choose, you'll be buying art direct from the creator, without paying fees to galleries or agents. So you get something gorgeous for your home, and the artist gets a bigger chunk of the sale price. Everybody wins! Baby showers are tough – everyone shops from the same few places, so it's all too easy to double up on gifts. Shop for gifts the Etsy way and you’re bound to find something special and totally original for the new arrival. Simply search for baby gifts from the Etsy homepage or head to the Baby & Toddler Toys section, where you’ll find a huge array of gorgeous, hand-made wooden toys and mobiles, personalised books, blankets, rattles and teething rings, plus loads of other original bits and pieces. Etsy is a global marketplace trusted by hundreds of thousands of shoppers every day, but buying from independent merchants can still feel a little daunting to newbies. If you have any questions about the ins and outs of shopping with Etsy,, check out our FAQs below. Etsy is a global marketplace that connects buyers and sellers of unique, homemade items. It also allows creative entrepreneurs – whether they’re artists, designers, makers or curators – to make a meaningful living by selling their wares, and allows shoppers to buy direct from them without hefty mark-ups. How do I leave a review on Etsy? Good question! Leaving an Etsy review helps buyers and sellers alike, so it's well worth doing. To leave an Etsy review, go to You > Purchases and reviews on the Etsy app or website. You’ll need to rate your purchase (from one to five stars) and leave a comment before submitting your review. You can leave a review up to 100 days after the estimated delivery date of your item. Etsy is totally safe and secure, as long as you use it properly! Be sure to keep all transactions, messages and payments on the platform, so that Etsy can investigate any disputes that might arise. If a seller encourages you to make a payment any other way, report them to the support team. You can also check a seller’s individual reviews and policies for added peace of mind. If you’re in any doubt about a purchase, Etsy's global support team is on hand to help you out. Etsy was founded in the US, but it is now a global marketplace with sellers trading from all over the world. You are free to shop internationally (provided the sellers offer international postage) or you can filter by UK sellers when browsing to pick up something from closer to home. You’ll be buying direct from the studio or home of the seller. How do Etsy payments work? Etsy payments can be made via credit card, debit card, Etsy Gift Card, Etsy Credit and bank transfer, or via a range of digital services such as PayPal, Apple Pay and Android Pay. All payments made via the Etsy platform are totally safe and secure. Be sure to report any seller that requests payment outside the Etsy platform. How long do Etsy deliveries take? It depends on who you buy from. Etsy doesn't handle deliveries itself – it's up to each seller to arrange delivery options and set postage fees. You'll be able to see how much delivery is likely to cost, and how long it is likely to take, on the item's description page. If there are multiple delivery options, you'll be able to choose between them when you make your payment. And if you're not sure about anything, just use Etsy's messaging service to contact the seller directly. Can I return an item I've bought on Etsy? Etsy is a marketplace, and doesn't have standard delivery or returns policies. Check seller and item detail pages to see whether you can return an unwanted item, and if so how. Each seller is required to list their policies on Etsy – you can find them on the Policies link on the seller homepage. If a dispute does arise and can't be resolved directly with the seller, Etsy has a mediation process that can help. Go to the House Rules section of the Etsy site for more information. 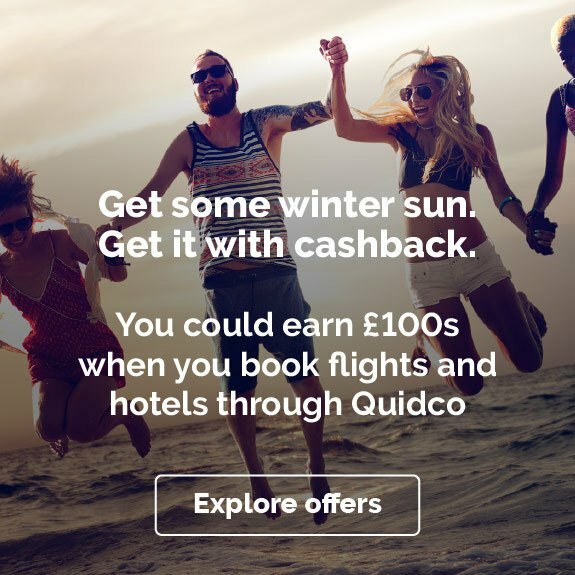 Come rain or shine, you can make big savings on all of your Etsy purchases all year around with Quidco’s cashback offers. To find out how you can make the most of your cashback with Etsy check out some of the ideas below. If you’re on the hunt for arts and crafts for some fun Easter craft activities, or whether you’re looking for an alternative Easter gift for a friend or family member, then Etsy is the perfect place to shop. Etsy is an online, global marketplace where you can shop from a huge range of special, hand-made and vintage items from independent sellers. And when you shop via the link on this page you can earn cashback on all of your Etsy purchases! Add a nice touch of spring to your home décor with some Easter decorations from Etsy. You can find home decorations, such as Easter bunting, wooden ornaments and beautiful Etsy Easter wreaths, plus smaller items like bunny rabbit cake toppers, Easter balloons and cute bunny shaped paper plates. So whether you want transform your home into an Easter wonderland or simply want to add a few subtle touches, you’ll find it all on Etsy’s website. If you’d rather make your own decorations then you can pick up all of your supplies from Etsy like bright and colourful feathers, felt bunny rabbits, decorative eggs and patterned ribbon. Shop for Easter crafts kits for kids that come with washable paint, confetti, animal masks and wooden egg photo frames, so you can buy everything in one handy package instead of buying separate bits and pieces. They’ll have so much fun painting, sticking and generally just creating with these fantastic kits. Need some Easter craft ideas? We’ve got a couple of simple Easter craft ideas. If you’re hosting an Easter egg hunt, getting the little ones involved in Easter crafts is a great way of keeping the cost down and adding some really unique and special decorations to your party! Decorate your Easter tree with homemade baubles; think cute felt bunnies, miniature Easter eggs, and yellow felt chicks. Easter is a lovely time to pick out thoughtful and unique Easter gifts for your friends and family. On Etsy you can shop jewellery, home & living, books, films, music, bags & purses, clothing and so much more, from hundreds of independent sellers across the globe. If you want to buy an Easter gift for a music lover, head straight to the music section on the site and browse antique sheet music books, vinyls, percussion and instruments, as well as music-themed quirky little gifts. Looking for a nice gift for her? Then check out Etsy’s jewellery section to find hand-made, vintage and one-off pieces of jewellery. From necklaces, earrings and bracelets, there’s so much to choose from. Go for Easter themed jewellery, or simply pick up a thoughtful gift from the usual jewellery section. If you’re looking for an Easter present for the kids then you can find a great choice of gifts on Etsy. Shop for personalised gifts such as cuddly Easter bunny toys, Easter mugs, or pick up some Easter clothes like cute t-shirts, rompers and sweatshirts. 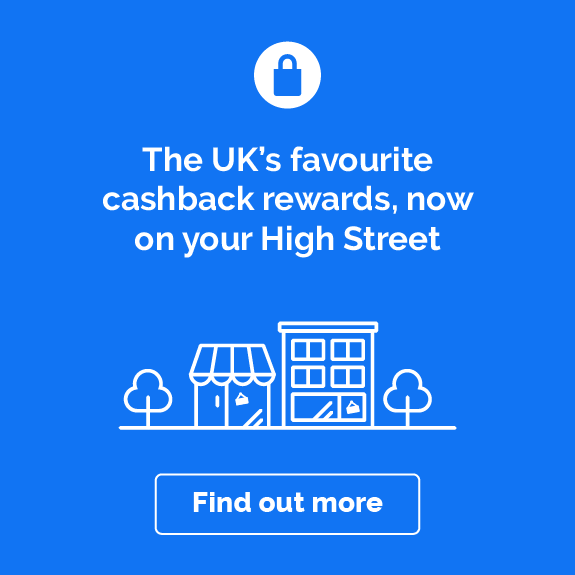 To make sure your Etsy purchases are tracked so you can earn cashback, make sure you shop through the link on this page. Looking for more offers on vintage clothing and accessories? Check out our cashback deals at Top Vintage and Rock My Vintage. If it’s statement jewellery you’re after, try Trollbeads, and for more unique, one-of-a-kind gifts – including the latest electronic gadgets – head to iWoot.